Are you looking for the perfect job in a back-to-basics small town community? What makes us your choice for an employer? Why are we special? 1) No corporate office back east, no corporate meddling. 2) Our benefit and wages are excellent. Benefits include in part medical/dental/life plans plus 4% retirement. 3) 3-months Housing Assistance, Sign-on Bonus, Relocation Assistance for critical-need positions. 4) Tuition Reimbursement,Education Financial Assistance. 5) La Paz County is designated as a Health Professional Shortage Areas (HPSAs).Pay off your student loans while serving a community in need. It is the policy of this facility to provide equal opportunity to persons regardless of race, religion,age gender, disability or any other classification in accordance with federal, state and local statutes, regulations and ordinances. Please review our current job postings below. Please proceed to fill out our official online job application at the bottom of each job posting. If you do not know what position you wish to apply for then please click on General Application. 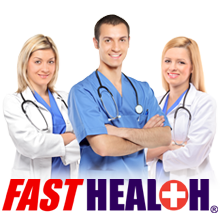 La Paz Regional Hospital will maintain your application for as long as legally required. Upon submitting your application we will take every effort to review it for proper consideration. Our Human Resources Department will respond to you if you meet the current needs of our hospital. All employees agree to be subject to drug testing during employment and must certify that they are drug free before official employment. All employees are to be drug free and certify they will not accept a position with LPRH if they have any substance abuse issues. If an open position is not currently available, we will maintain your application and consider it for future openings. If you meet the qualifications of the position and are selected for an interview, Human Resources or the Hiring Manager will phone or e-mail you. Thank you for your interest in our Hospital.